Kelsey Hoppe works for the Pakistan Humanitarian Forum (PHF), a membership organization of international NGOs providing humanitarian aid in Pakistan, where she lives. Previously, she worked in a range of different humanitarian and development roles in places like Sudan, South Sudan, Uganda, Indonesia, and Ukraine. 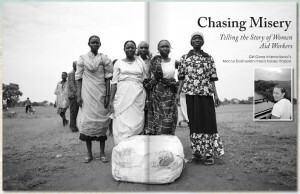 Ms. Hoppe is also heading up a project to publish an anthology of essays written by women working in humanitarian responses – Chasing Misery – to be published in 2013. Missio spoke with Ms. Hoppe about the book project and her work in humanitarian aid. CM in Girl Gone International…have a read! 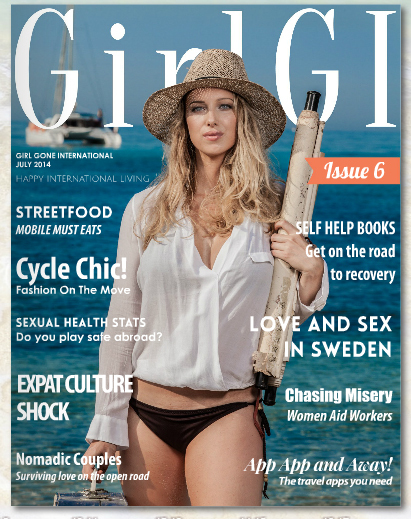 Chasing Misery was featured in the free expat and travel digital magazine for girls gone international. Have a look at an interview with Editor Kelsey Hoppe here! Vanessa McGrady features CM contributor, Miranda Bryant, on her blog Swerve. Read the full story here. I met Miranda Bryant when we were wayward, wild young reporters living on the Olympic Peninsula in Washington State. We reveled in the wacky Kinetic Sculpture Races, quaffed microbrews before even Seattleites became hip to them, and had our series of ill-advised, catastrophic romances with unsuitable suitors. I became committed: To a dog, first, then a series of office jobs, real estate, and finally, a child. Miranda’s commitments became strong as well, but they weren’t to herself and her own small orbit. They were to helping those in desperate need. Her travels took her all around the world, beginning with a Peace Corps stint in Kazakstan. She showed up where God gave up. I thought that aid work would eventually wear her down and she’d return to some kind of cushy NGO headquarters job. But no. She’s currently featured in a collection of essays from humanitarian workers, Chasing Misery. The book is a way we civilians, no matter how well traveled we are, can get even a small glimpse of the minds of those who have given up so much for so many. I recently caught up with Miranda from her current home in Yangon, Burma to find out more about how she turned out so big-hearted after her major swerve. These are women with whom you wouldn’t want to tangle. Tough cookies who have learned to shield their tender hearts because otherwise they’d be crushed. Women who, like all women, struggle with relationships, mother wounds, and mixed motives. Women who ponder the distinction between courage and a death wish, between the desire to alleviate suffering and the desire to escape. Women who ask the question we all ask, all the time: Does anything I do ever, really, help? Is “helping” even the goal? Strife, a graduate-led, London based, journal on conflict interviews Kelsey Hoppe about Chasing Misery. To read the full interview, click here. What is the central message of the book? I don’t know if the book has a central message but I think that some of the themes that run through the book are vulnerability, empathy and compassion. The authors of a number of essays discuss the emotional toll the work takes on them and how they deal with it. Some of them are quite raw. When we see and experience things that are difficult we take those things inside ourselves and we have to process them in some way. You would either have to be incredibly callous or super-human to pretend that you can work with dead and dying people, people who have had their choices in life stripped away by war and disaster, have your friends and colleagues killed, and not have that affect you in some way. To not want to tell that story. Antjie Krog said that ‘we tell stories not to die of life.’ I think that’s true and I think that’s what we’re doing here. We’re telling our stories in order not to die of life. 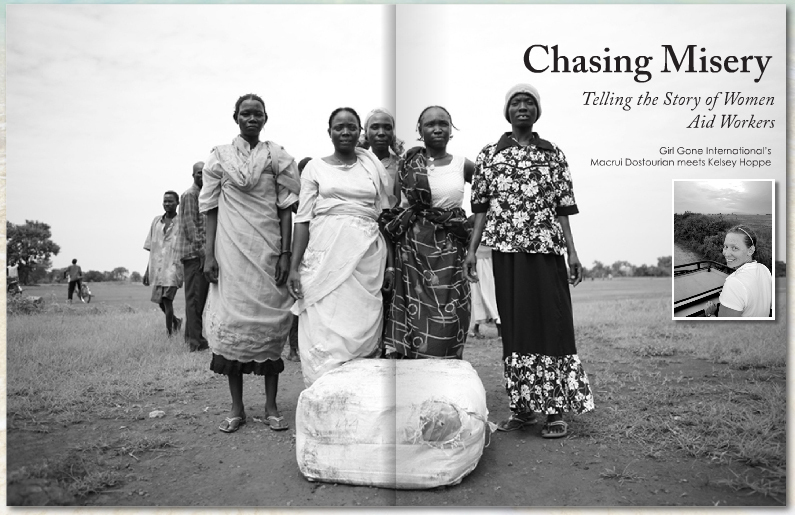 Chasing Misery focuses specifically on the role of women in humanitarian responses. Why focus specifically on women? I get asked this question a lot and I do really believe that men have contributed as much as women in humanitarian aid work. I also think, and wish, that more research had been done on the number of women involved in aid work. It’s a huge number. I’m guessing it’s well over half of those doing the work. Everyone brings something unique to what they do and I think women have a particular way of seeing and describing things. That is what I wanted to capture. What are the unique challenges women face as humanitarian workers? Is being a woman advantageous in some situations? Being a woman is certainly advantageous in certain circumstances and also a disadvantage in others. There are times and cultures in which a senior tribal elder just doesn’t want to talk to a young, white, woman to make decisions about his community’s future. Fair enough. I think we should respect that and not take it personally. If I was the Mayor of New York and half of the city was underwater and Japan sent me a huge amount of money and some 20-somethings with very little experience to fix it I would probably tell them to go get me some grown-up engineers. That said, it’s an incredible advantage at other times – especially in those same communities where men just can’t, or aren’t able, or don’t want to talk to women to get their perspective and hear their story. What do you see as the most significant barriers humanitarian agencies face in mitigating the problems in places that they work? This is a tough one because it’s different in every place. And even in the same location it can vary from organisation to organisation. I would say overall though it’s the politicisation of humanitarian aid. It’s tying politics to alleviating suffering. When almost all the money that aid organisations receive is from a government with specific national interests toward another government it’s very hard to say the money isn’t tied to the interests of that first government or isn’t going to be manipulated by the interests of the recipient government. I think that humanitarian aid has tried very hard to stick to the principles of neutrality and independence in conflict and disaster but, as they say, ‘life is politics’. And politics makes aid dangerous for those who deliver it. Emergency yoga – you are never too busy for a bit of yoga! Interhealth UK – Good stuff on personal health, stress, trauma, etc.